Al Pacino has been transformed into legendary music producer Phil Spector for his latest role in the HBO production. Al Pacino, 72, stars in the controversial made-for-TV film Phil Spector, who was convicted of murder in 2009. Pictured with Al Pacino is his co-star Helen Mirren. Dame Helen Mirren portrays Phil Spector’s defense attorney Linda Kenney Baden. Though the two are only five-years apart in age, Helen Mirren’s fresh-faced and pale complexion makes Al Pacino’s character look rather weather-beaten. Al Pacino’s own persona could not be further from the convict he embodies in the upcoming film. Phil Spector was not only famous for his Wall of Sound production technique, which scored him a slew of hits including The Beatles’ Let It Be, but also for his eccentric hairstyles. Al Pacino donned a variety of wigs to play the notorious music producer. But the transformation went deeper than mere head adornments. Al Pacino recently said he didn’t try to perfectly mimic Phil Spector or meet with him. Instead he “would sit for hours just looking at Phil talking about things”, on videotape. The actor tried to capture the essence of the man in order to develop a character who was a real human being in his own right – not just a cheap imitation of Phil Spector. Helen Mirren admitted that working on the film was “like a strange dream you are having”. Phil Spector movie is closer to a dream than reality as it depicts writer-director David Mamet’s re-imagining of the events, rather than a retelling of the plain facts of the case. The HBO film comes with a disclaimer explaining that it is a work of fiction, “inspired by actual persons in a trial, but it is neither an attempt to depict the actual persons, nor to comment upon the outcome”. What is known to be true about the murder trial’s outcome is that Phil Spector will most likely spend the rest of his life in prison. Phil Spector’s initial trial in 2007 for the murder of Lana Clarkson, who died from a gunshot wound to the head, ended in a deadlocked jury. But a second jury in 2009 found him guilty of second degree murder with a sentence of 19 years hard time. 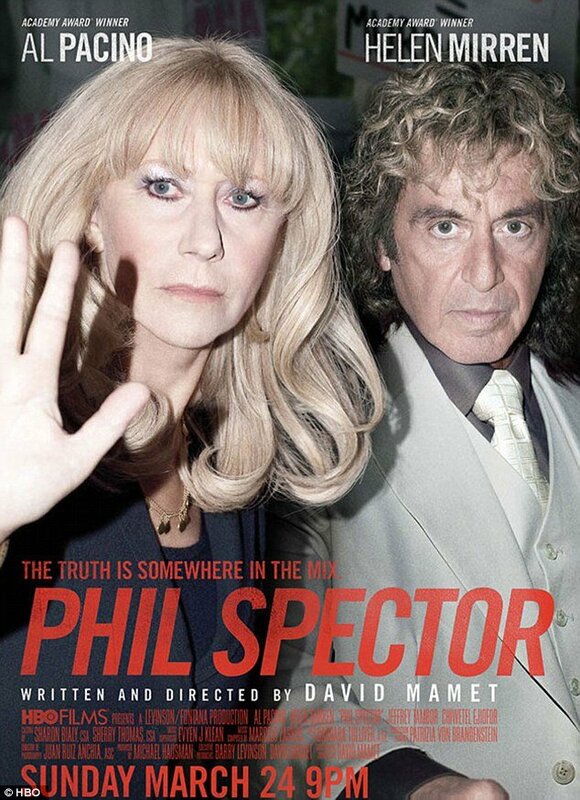 HBO’s Phil Spector is set for release on March 24.